It’s important to keep your property looking its best. Whether you regularly paint your walls, keep your garden well-weeded and watered or update your residential fencing, you’ll feel a sense of accomplishment knowing that your home looks well cared for. Maintaining your property doesn’t have to take a huge amount of time or cost you the earth. Performing some simple maintenance tasks can go a long way to ensuring that your property always looks its best. However, a time will come when maintenance will no longer work and you need to update or replace elements of your home. Your residential fencing provides security, protection and an aesthetic element to your home therefore it’s crucial that you know when and why it needs updating. Let’s take at a look at some of the reasons you might need to consider updating or replacing your fencing to ensure it remains functional and easy on the eye. Has your residential fencing been through multiple storms or rough weather? If so, it may be worn from exposure. If the fencing contractor or fence builder who installed the fence did not go deep enough when placing the wall, the posts might be loose from moisture. This destroys the integrity of the entire fence as it may come crashing down at any time. Also, be on the lookout for mould, algae, or even termites if you have a wooden fence. Another common reason to add or update smaller residential fencing is for privacy. If you have had new neighbours move in that are a bit nosy, you may want to install a higher fence to keep their prying eyes out. This will allow you to be outside without the fear of anyone seeing or talking to you. An essential reason to update your worn fence is for the safety of your family. If you have small children or pets, you need to make sure your barrier is robust without any holes or loose planks. Kids love to go on adventures, and they can be in the yard one minute and be missing the next. This goes for dogs and cats as well as they can be quick to explore too. By updating your fence, you won’t have to worry about your loved ones getting out of the yard and potentially putting themselves in harm’s way. Are you looking to sell your home soon? If so, you may need to check with a fencing contractor or a fence builder to update your current fence. If you have a worn, shabby surround on your property, you need to look at getting it replaced before you sell. By doing so, your property value will increase, and you will make more when you sell. There is no required monthly maintenance of a Colorbond® fence and because of its outstanding anti-corrosion performance, it’ll look great year-after-year. Another popular reason to upgrade your property fence is for aesthetic value. If you have an older house with an older fence, it may be worn and need to be replaced. Even if your fence is in good structural condition, you may want to update it for aesthetic purposes. Spend some time looking at different fencing designs and materials online to help you find something you find visually appealing. When you choose a design you like, contact a trusted fencing professional and speak with them about your fence upgrade options. Lastly, one of the reasons to update or replace your old residential fencing with the help of a fencing contractor is for security and protection. There are always burglars and criminals who want what you have, and having a quality fence will give you protection from these types of individuals. Keeping your home, your family and your property safe and secure with robust fencing gives you great peace of mind. Why Should I Update My Fencing? 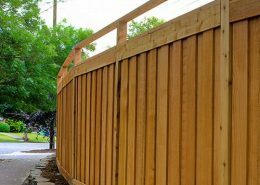 If you have an older fence or are looking to replace your current fence, there are many reasons to do so. You may need to replace your fencing due to wear and tear from exposure to the elements, for added privacy or as a practical and straightforward way to add value to your property. Upgrading your fencing will also keep your home safe from burglars while keeping your loved ones safe inside. Whatever your reasons are for upgrading, a new fence will be stronger, more aesthetically pleasing and give you more security than your old, worn fence ever could. 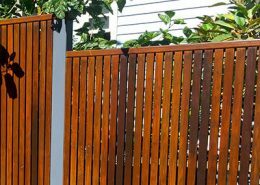 Get your free steel fencing quote with Australia’s number one steel and timber fencing installer.